governorship election in the state in favour of Nyesom Wike, the incumbent governor, The Cable reports. On March 10, INEC suspended all electoral processes in the state as a result of violence and widespread disruption of collation of results. The commission eventually announced a rerun for April 13. 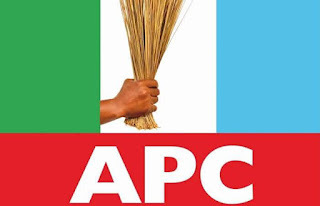 In statement on Thursday, Chris Finebone, the party’s publicity secretary, said the APC will subject the recent announcement by INEC to “meticulous scrutiny” after which the party’s position will further be made public. “To the APC, INEC is up to some mischief clearly pointing to a clear determination to rig the overall result of the March 9 elections in favour of Gov. Wike and the PDP,” Finebone said in the statement. “Secondly, INEC curiously announced that it has dropped four LGA Collation Officers confirmed to be PDP card-carrying members without the umpire clearing the air about the status of the LGA results the four ad hoc personnel supposedly collated. The APC could not field candidates in the general election as a result of internal crisis, but it has endorsed Awara Biokpomabo, candidate of the African Action Congress (AAC).